We’ve had a go here at answering your frequently asked questions. As and when new issues are raised we’ll update this page. Q. What are the dates for the upcoming Festivals? A. No, but there is a fee for the park and ride, which, for safety and traffic management reasons, we need you to use. Q. How is the Festival funded? A. Through sponsorship, donations, grants, ‘On the Ration’ 200 Club, Park & Ride and the sale of the Festival newspaper. Q. Who organises the Festival? A. A group of enthusiastic Woodhall Spa volunteers. Q. If I represent a re-enactor group, 40’s display or trade who do I talk to about participation? A. Take a look at the Festival Contacts page. Q. If I’m a singer and would like to participate who do talk to? Q. I’d like to lend a hand and help the organising team who run the Festival – who do I contact to offer my help? A. Take a look at the Festival Volunteers page. Q. Are the disabled catered for? Q. Are there local camping and caravan sites? Q. Where can I catch a bus to Lincoln/Boston? Q. Where are the toilets located? A. On Spa Road and in Jubilee Park adjacent to the swimming pool; additional portaloos (including disabled) are located at several sites including the car parks. Q. Can I bring a dog? A. Yes; the vast majority of daytime events are outdoors, but suggest you avoid the battle re-enactments. Dogs are NOT permitted on ‘Park and Ride’ buses. Q. What happens if I need medical attention during the Festival? A. 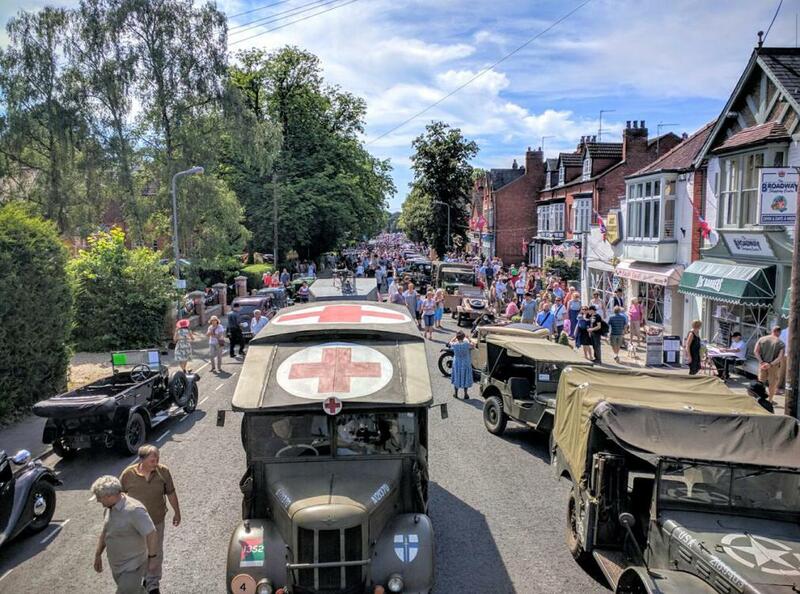 The Festival provides dedicated medical cover which is located adjacent to the Police Station on the Broadway and in Jubilee Park; alternatively contact any of the event staff who should all have contact numbers for the medical team; or phone 999 if it is an emergency. Q. Where is the Festival HQ/Control located? A. The Festival Control HQ is co-located with Woodhall Spa Police Station on the Broadway in the centre of the village. All incidents are to be reported to this HQ as soon as possible. Q. I want to book coach / mini bus parking – what do I do?